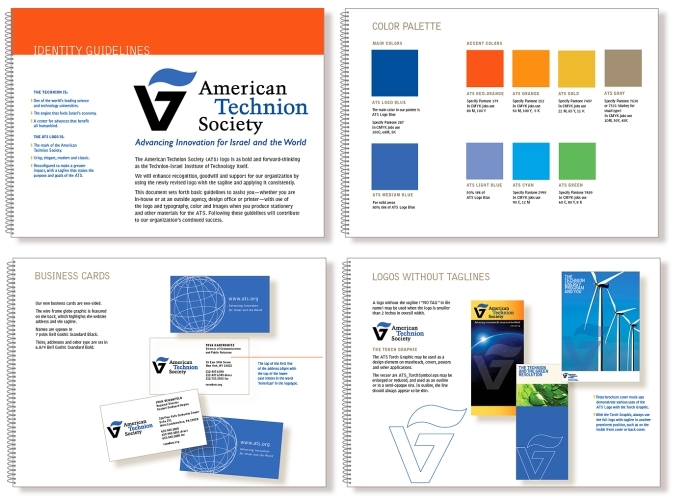 Over the past decade, we’ve redesigned the American Technion Society logo, publications, and ads. Our work has helped this formidable fundraising organization raise more than $1 billion for Israel’s leading technical university, which educates leaders in science, technology, medicine, engineering and business. “Innovation for a Better World” case statement highlights the advances in medicine, technology and security by Technion faculty, students and alumni that are making the world a safer, healthier place. 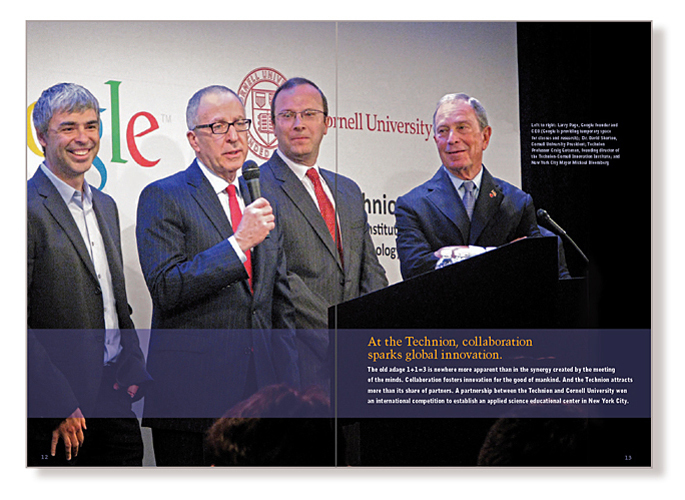 Google CEO Larry Page; Cornell University President Dr. David Skorton; Technion professor Craig Gotsman; and former NYC Mayor Michael Bloomberg announce that the Technion won the international competition to partner with Cornell in innovative masters programs that bring academics and the tech community together. Currently up and running in Chelsea, a futuristic new campus for the Technion-Cornell Innovation Institute will open on Roosevelt Island in 2017. Identity Guidelines manual gives communications managers at the NYC national office and regional offices around the country easy-to-follow, flexible instructions for producing stationery, brochures and other media. 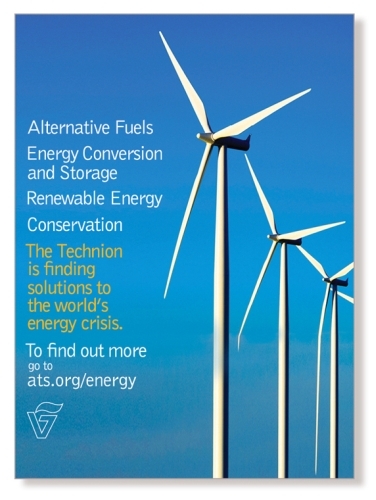 We’ve designed the ATS national magazine since 2001. 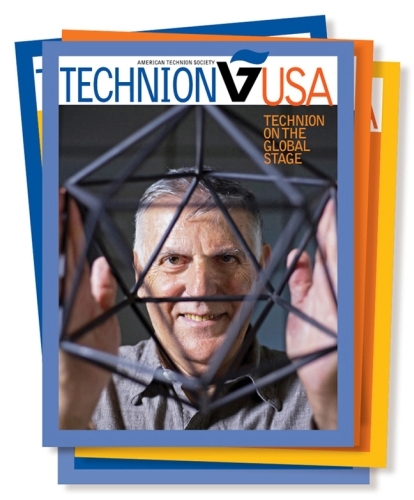 This issue features Dr. Dan Shechtman, the Technion professor who won the 2012 Nobel Prize in Chemistry. 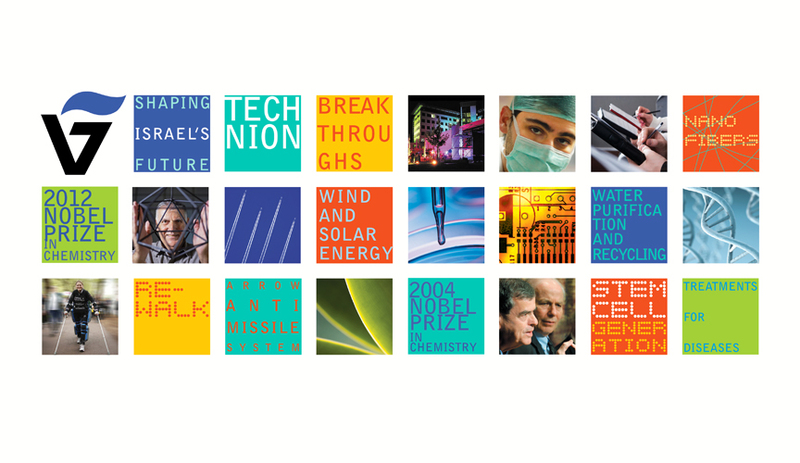 This matrix of Technion personalities and breakthroughs commemorates the successful completion of the 13-year, $1 billion “Shaping Israel’s Future” campaign. 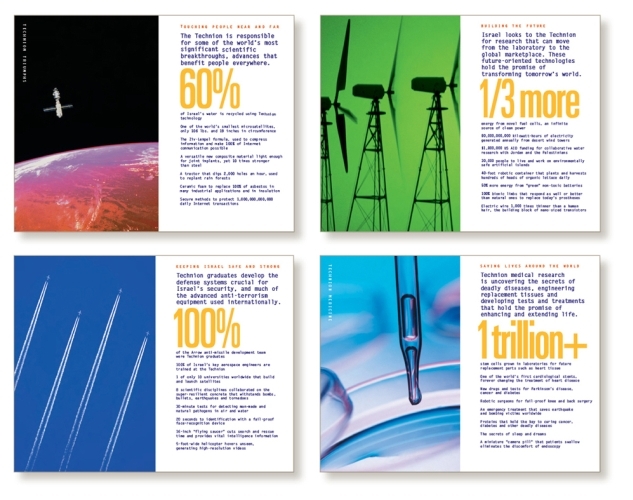 It was used in various configurations online and on invitations, stationery, a T-USA magazine cover and a multimedia presentation.